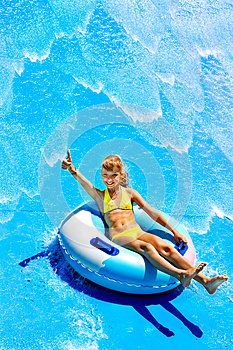 Photo title: Child on water slide at aquapark. Child on water slide at aquapark. Summer holiday.